Retina problems can result in permanent vision loss if they are not diagnosed or addressed in a timely fashion. This includes conditions like diabetic retinopathy, age-related macular degeneration (AMD), and retinal tears or detachment. Thankfully, the team at Monterey County Eye Associates can help address these serious vision health problems. Prevention is generally the best medicine, which is why knowing the risk factors of vision disorders is so important. The team at our Monterey, CA vision center would like to consider common risk factors for retinal problems. You can discuss these matters in greater detail with Dr. Eric J. Del Piero, Dr. Leland H. Rosenblum, and Dr. Theresa de Barros during a visit to the practice. Your genes determine your health in a number of ways. If you have a parent, grandparent, or other close blood relative who suffered from retinal conditions, you’re more likely to experience retinal problems as well. This is why regular eye exams for at-risk individuals is essential. If you are of advanced age, there is a greater likelihood that you will develop retinal diseases such as macular degeneration. This is part of the natural aging process. Maintaining good health and going to regular eye exams can limit the risk of developing retinal problems in the future. If you have had diabetes for years, there is a greater risk of you developing diabetic retinopathy later in life. This is why it’s important to properly manage your diabetes and take all steps needed to improve your overall health and wellness. Serious injuries to the eyes increase your risk for a number of eye health and vision issues later in life. This includes a higher risk of retinal tears and other problems. As with other conditions above, be sure to undergo regular eye exams if you suffered a serious eye injury in the past. Smoking has been linked to a number of health problems, including lung disease, heart disease, and certain cancers. Smoking can also affect your eyes, making a number of retinal conditions more likely. Consider this yet another good reason to kick the habit for good. 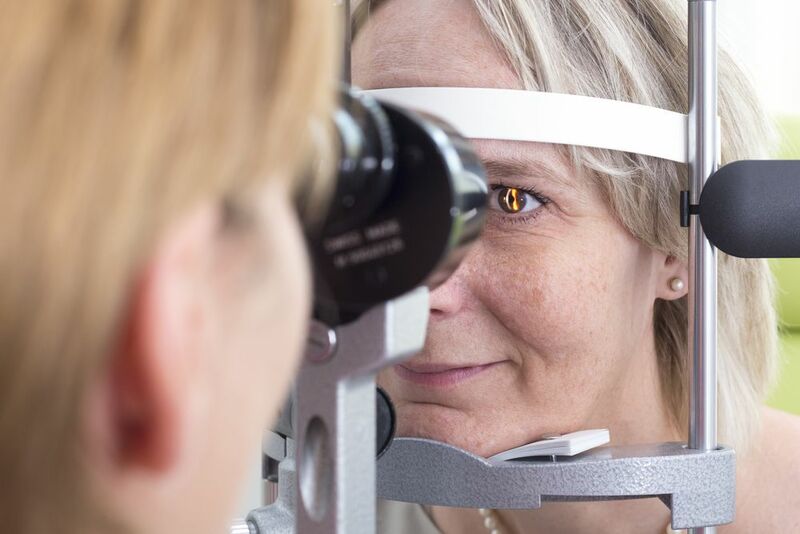 High blood pressure over a long period of time can lead to damaged blood vessels in the eyes as well as other issues that can affect the health of the retinas. If you suffer from high blood pressure, take measures to reduce your blood pressure and maintain a healthy lifestyle. Obesity increases your risk of hypertension, diabetes, and other health problems. In the long run, it can impact your vision. Consider this a reminder why it’s a good idea to maintain a healthy weight. Being obese isn’t the only thing to worry about. If you lead a sedentary lifestyle, that may contribute to excessive weight, high blood pressure, and a host of other health issues that can result in retinal disorders. Be sure to get a little bit of exercise each day to keep healthy and avoid excessive weight. If your diet is poor or is nutritionally deficient in some way, it can make retinal problems and other vision issues later in life more likely. This is why it is so important to eat a balanced diet. Focus on fresh vegetables and fruits, lean protein, healthy fats, and complex carbohydrates. For more information about improving your vision and preventing retinal diseases from developing, be sure to contact our team of eye care specialists. Our team of doctors is here to help. You can reach our Salinas office by phone at (831) 424-1150, and our Monterey offices at (831) 372-1500 and (831) 375-5066.